The legislature is beginning to enter its final phase. You can tell because the pace, which has been frantic from the start, gets even more frantic. There are also official signals - for example, a memo from the Speaker of the House saying that hearings on bills can be scheduled with one hour's notice, a sure sign that the legislative leadership is trying to herd the process toward a conclusion. But there's still work to be done. Here's what went on last week and what we're expecting next week. 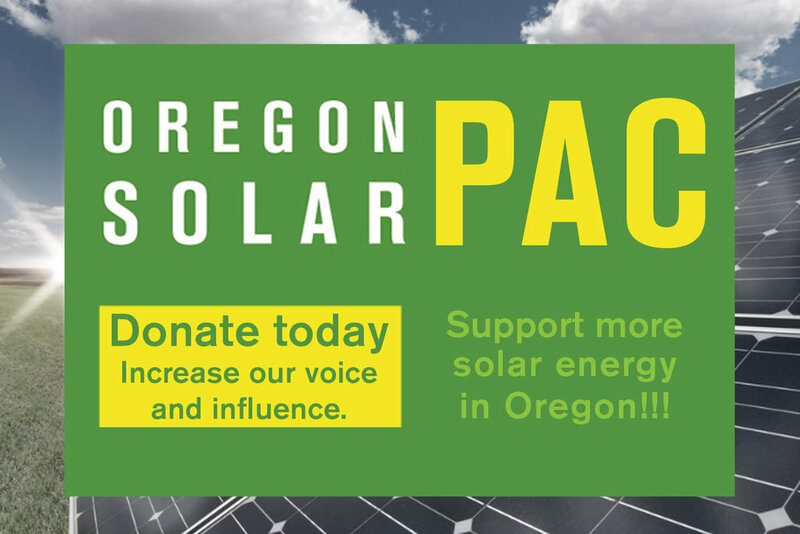 The week started strong with a vote in the Oregon House on HB 4036, the Clean Electricity and Coal Transition Plan. The bill passed by a vote of 39-20 - very solid. The bill went over to the Senate and was immediately assigned to the Business and Transportation Committee. That committee held an informational hearing on the bill on Wednesday and the committee chair - Sen. Lee Beyer (D-Springfield) indicated that he was working on amendments. OSEIA had a strong contingent of solar business representatives at the Capitol on Thursday, Feb. 18 to talk to key legislators about both HB 4036 and HB 4037, the Solar Incentive Program. The group visited about 20 legislators or their staffers. They even called legislators "off the floor" by sending notes into the House chamber, asking for a representative to come out and talk briefly about a bill. This activity is not on the usual tourist visit to the Capitol. Many thanks to Adam Walters, Sunbridge Solar; Charlie Coggeshall, Clean Energy Collective; John Patterson, Sol-Reliant; Mark Ferrell, Neil Kelly; Michael Wegecsanyi, Canadian Solar; Peter Greenberg, EnergyWise and Suzanne Leta Liou, SunPower as well as Craig Ernst and Meghan Barrier of OSEIA for a great day. Hats off to Max Muller who is working on contract with OSEIA during the session for organizing the day. HB 4036 has a public hearing scheduled on Monday, Feb. 22. The deadline for moving bills out of committee is Tuesday so there is a lot of focus on getting the bill moving to the Senate floor. In a surprise bit of good news, HB 4037 was scheduled for a hearing in a Ways and Means subcommittee for Tuesday. This is excellent news that signals the bill could be a part of the final budget decisions that will be made toward the end of session. Rumors are flying about when the session might actually end. It must end, according to the Oregon Constitution, by March 6 but legislative leadership is looking to beat that deadline. Some even think it could end early the week of Feb. 29. But it's fair to say, we're at a point in the session where anything can happen.